In 2016, suicides arising from online and telecom crime evoked heated public discussion. 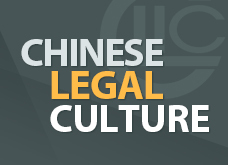 The protection of legal rights in that area has become a hot topic. The Ministry of Public Security cracked down on the criminal activity and uncovered more than 90,000 cases involving approximately 4.87 billion yuan（$710 million）. At the same time, the Supreme People’s Court together with other ministries released a guideline on the laws applicable to online and telecom fraud, stipulating specific standards of punishment for their breach. The rigorous review of legal enforcement mechanisms led to clarification of the means by which fraud is committed. Consequently, the anti-fraud campaign will be a long-term systematic project requiring the joint efforts of public security departments, banks and telecom operators. This issue will attract people’s attention in the two sessions. Focus will also be on the telecom anti-fraud center, operators’ payment in advance and accountability of the banks. Over the last year, eye-catching reports aroused heated debate such as E-commerce platform JD’s user data leakage, State Grid’s suspected user information leakage and the assertion that “with 700 yuan, you can buy 11 pieces of personal information”. Public discussion centered on questions of supervision loopholes, prevention of sale of personal information and improvement of relevant legislation. The Cybersecurity Law will be put into effect on June 1. The relevant provisions not only stipulate the responsibility of telecom departments and public security departments, but also set out the legal liability of online operators and information collectors such as online products and service providers. With this background, prevention of information leakage and personal information protection may possibly be the focus of the two sessions. A series of attacks on judges over the last year sparked public concern over the protection of their legal rights and interests. The intensive coverage of judge resignations also stimulated public discussion. Some moves have been taken to protect the rights and interests of judges. 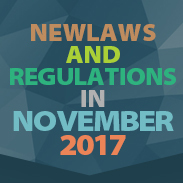 In 2016, provisions on protecting judicial personnel in the lawful performance of their statutory duties were released by the State Council and in 2017, a committee was established for guaranteeing judges’ legal rights and interests. In the two sessions, topics such as guarantees of personal safety for judges, resumption and exemption of their duties and even fostering of a judicial sense of humor may possibly be highlighted.